A committed group of teenage and adult volunteers from the faith-based group Encounter the Gospel of Life, Inc. took time out of their busy summer vacation to volunteer with military veterans at the Armed Forces Retirement Home here in Washington, D.C. in September 2018. About 15 volunteers pushed three comfort carts throughout the Sheridan and Scott buildings handing out toothbrushes, shower gels, brushes, socks, snacks, puzzles books, blankets and other donated items. 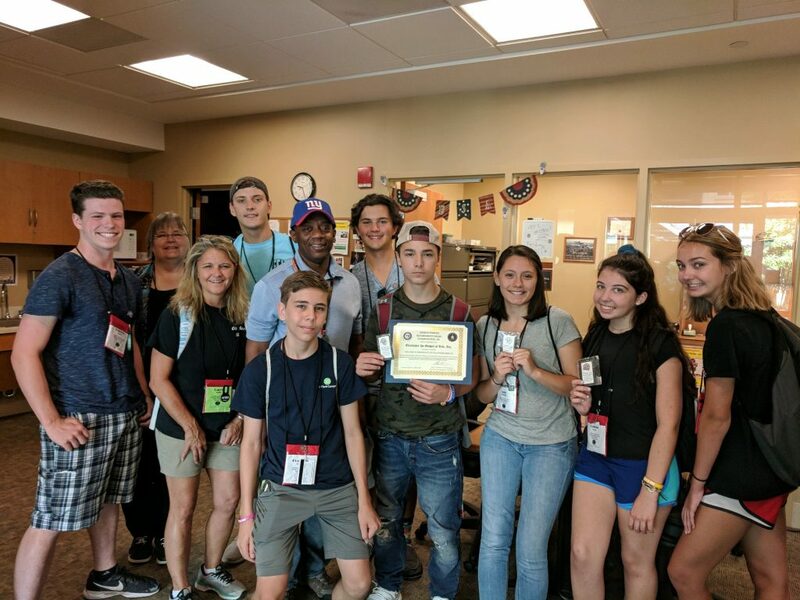 The social interaction provided a unique opportunity to bring high school students and distinguished military veterans together. Volunteers also escorted healthcare residents to and from recreation activities, helped prepare and serve meals and spent time beautify the fishing ponds and other outdoor areas on campus.